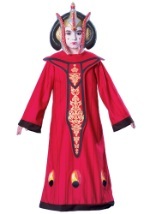 You'll have an impressive midi-chlorian count, despite your status as a slave, with this child Jedi Anakin Skywalker costume. The child Jedi costume has a 100% polyester shirt and pants with an elastic waistband for added comfort. The pants also have attached boot covers. Match our Anakin Skywalker lightsaber to this costume for an authentic look.